Year-over-year growth in inpatient volumes across Vanderbilt University Medical Center’s adult clinical enterprise, three new floors of additional adult inpatient beds through the renovation of Medical Center East, along with the steady expansion of adult clinics throughout the region are among factors leading to the creation of the new roles of co-chiefs of staff for Vanderbilt University Adult Hospital (VUAH) and Clinics. Shubhada Jagasia, MD, MMHC, professor of Medicine and vice chair for Clinical Affairs for the Department of Medicine, will step down from her current role as department vice chair and assume the role of chief of staff for Vanderbilt University Adult Hospital and Clinics. Warren Sandberg, MD, PhD, professor and chair of the Department of Anesthesiology, will continue to serve as department chair and will assume the newly created role of chief of staff (VUAH) for Perioperative and Critical Care Service. In these new co-chief roles Jagasia and Sandberg will partner to oversee responsibilities in VUAH. Jagasia will also function as the chief of staff overseeing the adult outpatient setting. The new co-chiefs of staff roles for Jagasia and Sandberg become effective May 15. 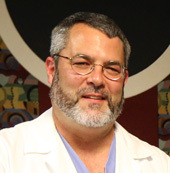 C. Lee Parmley, MD, JD, MMHC, professor of Anesthesiology, who has served as VUAH’s chief of staff since 2014, will be leaving VUMC this summer to become deputy chief of staff for the new Rocky Mountain Regional VA Medical Center in the Denver municipality of Aurora. The Department of Veteran’s Affairs is opening the new 1.2 million square foot, $1.7 billion facility in August and Parmley is joining to serve the state’s 409,000 veterans who are eligible to receive care through the Colorado VA system. “As we welcome Drs. Jagasia and Sandberg into these new roles, I want to express my gratitude to Dr. Parmley for his friendship and years of outstanding service to the Medical Center, and especially for his leadership as VUAH chief of staff. We will miss his many contributions to our success as he joins the VA system to assist our nation’s veterans,” said C. Wright Pinson, MBA, MD, Deputy Chief Executive Officer and Chief Health System Officer for VUMC. “Through their longstanding service, both Dr. Jagasia and Dr. Sandberg bring a wealth of experience and insights into the strengths and needs of our adult clinical enterprise. I look forward to working closely with each of them as we continually pursue higher standards of care for the patients we serve,” said David Raiford, MD, chief of Clinical Staff for VUMC. Jagasia was recruited to VUMC in 2001 and has served in a variety of academic and clinical roles of increasing responsibility. 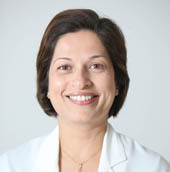 In addition to serving as vice chair for Clinical Affairs for the Department of Medicine, she was the medical director of three Vanderbilt endocrinology clinics located on the 21st Avenue campus, Williamson County and at NorthCrest Medical Center in Springfield, in addition to serving as the inpatient medical director in the Division of Diabetes, Endocrinology and Metabolism. Jagasia has been responsible for numerous advancements in diabetes care at VUMC, such as initiating the gestational diabetes clinic in the Eskind Diabetes Center, and establishing the Inpatient Glucose Management Service. Much of her clinical interest and research has focused on the management of endocrine diseases during pregnancy, predominately gestational diabetes. VUMC’s adult diabetes program has earned American Diabetes Association (ADA) recognition at all clinic locations, making the Eskind Diabetes Clinics an elite member of a group of clinics with three separate ADA recognitions for diabetes management. Within the Department of Medicine (DOM), Jagasia has spearheaded the creation of a program called Vanderbilt Familiar Faces, which creates a patient-centered medical home for patients who are high utilizers. She has also initiated the inaugural direct-to-patient telemedicine program within the department. Jagasia also serves as the board chair of Connected Care of Middle Tennessee, which is the ACO created by VUMC, in partnership with NorthCrest and Williamson Medical Centers. In addition to being actively involved in the tripartite mission, Jagasia serves on multiple committees and advisory groups that span a breadth of the Medical Center’s clinical and operational initiatives. Sandberg, who is also professor of Surgery and Biomedical informatics, was recruited to VUMC in 2010 to serve as department chair. As chair, he has responsibility for the department’s entire administrative, research, educational and clinical enterprise. The department is home to more than 140 anesthesiologists, 130 nurse anesthetists and 120 trainees. During his tenure, the Department of Anesthesiology’s clinical productivity per faculty FTE is above the 90th percentile for academic departments and is currently ranked No. 13 in National Institutes of Health research funding. The department’s faculty routinely participates in or leads institutional initiatives designed to improve access to and the reliability of care delivery, and patient throughput and quality. The author of more than 100 peer reviewed publications, Sandberg’s research interests include: factors affecting physician-patient communication, patient care technology, perioperative systems design and operating room workflow management. His administrative interests include: fiscal control, optimizing the value delivered in anesthesiology and novel arenas where anesthesiologists can contribute to the health care value stream. Most recently, Sandberg has focused on implementation of real-time process monitoring and process control in perioperative medicine, which is a core strength at Vanderbilt. Under his leadership the department has partnered with surgical champions to develop and implement Enhanced Recovery After Surgery protocols run through a novel anesthesia perioperative consult service, focused on optimizing patient experience. These interests found a more general outlet in the standard inpatient operating model project (where he worked with Dr. Jagasia). 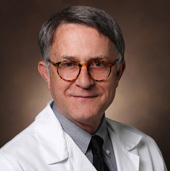 He also serves on numerous VUMC and School of Medicine committees, boards and workgroups. Jagasia received a Bachelor of Medicine and Bachelor of Surgery from King Edward Memorial Hospital in Mumbai, India. She received postdoctoral fellowship training in the Department of Biochemistry at St. Jude’s Research Hospital. She underwent residency training in internal medicine through the University of Tennessee at Baptist Hospital and fellowship training in the Division of Diabetes, Endocrinology & Metabolism through Vanderbilt University School of Medicine. Jagasia earned a Master of Management in Health Care from the Vanderbilt Owen Graduate School of Management. “I am honored and humbled to be given this opportunity to seamlessly integrate the care continuum for our patients across the inpatient and outpatient setting. As VUMC grows, we should consider creative models of health care delivery, while meeting patient needs for timely access, an excellent patient experience, and outstanding clinical care in our hospital, clinics and across transitions of care,” said Jagasia. Sandberg received a Bachelor of Arts in Biochemistry from the University of California, Berkley, a PhD in biochemistry and molecular biology from the University of Chicago and his medical degree from the University of Chicago, Pritzker School of Medicine. He served an internship at the University of Chicago Hospitals and was a resident and fellow in the Department of Anesthesia and Critical Care at Massachusetts General Hospital. He served on the faculty at Harvard until his selection as chair at Vanderbilt. “It’s an incredible honor to have been chosen for this role. The opportunity to partner with Dr. Jagasia — whose work I have admired — and to share the work of staff leadership on behalf of VUMC’s medical staff and patients is exciting and humbling at the same time. It’s also more than a little intimidating to follow someone as talented as Lee. I look forward to partnering with hospital and departmental leadership to extend Lee’s work, to focus on the patient and clinician experience at VUMC and to help build the next wave of systems that will make us more effective than ever before,” Sandberg said.